At the Seaford Endoscopy Center, patient satisfaction is very important to us. We are dedicated to satisfying all patients’ needs by establishing a trusting relationship for our patients with our healthcare team, understanding our patient’s true needs, and following up with our patients after their procedure to make sure there are no other questions or concerns. Our satisfaction scores continue to demonstrate that our patients are very happy with the care they receive here at SEC. 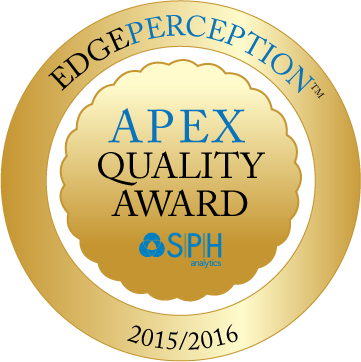 The APEX award also demonstrates our commitment to patient satisfaction. All of our patients have the opportunity to complete a patient satisfaction survey after their visit to the Center. We have been the recipient of the APEX Quality Award which recognizes “excellence in overall patient satisfaction” for 2010-2011, 2011-2012, 2013-2014, and 2014-2015.